CD Projekt RED has released the hugely anticipated 1.07 patch for the PC version of The Witcher 3: Wild Hunt. The patch weighs in at around 5.1GB, a rather small size compared to the console version of the patch which took a whopping 7GB. Although this is partly because the PC received the previous 1.06 update, which the consoles did not. Steam users will have to manually check for the update, while GOG owners of the game will have to download the two parts from their account. Introduces an alternative movement style for Geralt. To enable, go to the Gameplay\Movement Response submenu. Fixes a rare issue where the player’s horse would not fall to the ground properly. Fixes a rare issue where the player could be locked into the aiming animation if hit while throwing a bomb on horseback. Fixes a rare issue with an infinite loading screen in the Ladies of the Wood quest. Includes a variety of collision fixes. Fixes an issue where Wild Hunt warriors would remain present even after the player completed the main storyline. Fixes an issue where players could repeatedly buy foreign currency from a loan shark and sell it at the Vivaldi Bank. Fixes an exploit whereby players could loot gold from a single chest more than once. Fixes an issue whereby some skills were not properly removed after the player used the Potion of Clearance. Fixes an issue with target locking, which should now be more responsive. Introduces a number of changes in selected game-world areas to prevent players from unexpectedly progressing quests or leaving the playable area by climbing certain elements of the landscape. Fixes an issue where sometimes players could not use Signs after reaching Skellige for the first time. Fixes an issue where damage from certain sources was incorrectly calculated. Fixes an issue where the durability of alternative weapons did not drop as intended. Fixes an issue where the game would remain in slow motion if the player had used manual targeting. Fixes an issue whereby meditation could be blocked by certain quests. Fixes an issue where Stamina did not always regenerate properly. 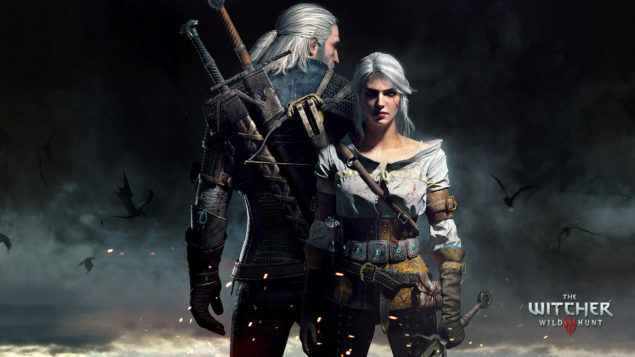 Fixes an issue where Geralt’s statistics could be multiplied if the player stood in a Dimeritium bomb cloud while the Cluster skill was activated. Introduces a number of fixes, improvements and clarifications in the map-pins and objectives for multiple quests. Fixes an issue where in certain circumstances gravity ceased to apply to the player’s horse. Adds a stash for player convenience. Players can now store loot in their stash, access to which is available in different parts of the world. Stash locations are marked on the map. Fixes an issue whereby the player’s horse would often stop abruptly before bridges or other narrow passages. Fixes an issue whereby encumbrance was not updating correctly, resulting in players being overburdened where in fact they were not. Fixes a rare issue where players were unable to choose different Signs. Fixes an issue where the player was sometimes unable to craft glyphs. Fixes an issue where not all merchants would accept junk loot. All crafting components and alchemy ingredients now weigh nothing. Fixes an issue where certain armor/hairstyle combinations interacted incorrectly. Fixes an issue where instances of the Quen Sign would occasionally burst during dialogue scenes. Fixes a rare issue where the player could not play gwent with Madame Serenity at the Passiflora. The Zoltan gwent card should now always be present beneath the Hanged Man’s Tree if the player does not win it earlier in White Orchard. Fixes a rare issue where players could not talk to, or play gwent with, the innkeeper at the Inn at the Crossroads. Includes a number of wording and spelling fixes in multiple localized versions. Introduces a number of improvements in the game streaming system. Players should experience fewer blurred textures, NPC spawn times should be markedly reduced, and there should be an overall improvement in the speed with which game assets are loaded. Streaming system improvements should be most noticeable on consoles and systems with non-SSD drives. Improves performance in the swamps of the No Man’s Land region. Fixes an issue whereby the presence of fog could adversely affect game performance. Optimizes various FX which should result in improved performance during the Battle of Kaer Morhen quest. Introduces a number of optimizations that improve overall performance throughout the game. Fixes an issue where Keira’s magic bubble could adversely affect performance. Fixes an issue whereby the mouse cursor would remain visible during in-game video playback. Adds a warning if the user runs out of disk space and wants to crate a new game save. Fixes an issue whereby Colorblind mode was not properly saved. Fixes an issue whereby Zoltan would sometimes appear in the incorrect location after the Novigrad, Closed City quest. Fixes an issue during the Last Wish quest whereby Geralt would continue his conversation with Yennefer after they parted. Fixes an issue where two simultaneous instances of some characters would appear in a scene in the Broken Flowers quest. Fixes an issue whereby some objectives were not available to the player and would be automatically failed during the Battle of Kaer Morhen quest..
Fixes an issue where in certain circumstances Lambert did not board the boat during the Final Trial quest. Fixes an issue where in certain circumstances Madame Serenity was improperly placed during the Deadly Plot quest. Fixes an issue where the Fake Papers quest would be failed if the player did not mention that one of the brothers was dead. Fixes an issue whereby players would sometimes be unable to start the final horse race, The Heroes’ Pursuits: For the Goddess’ Glory! in Skellige. Fixes an issue where unintended objects were present in Novigrad after the Battle of Kaer Morhen quest. Fixes an issue where a progression break could occur if Geralt was knocked out by guards while following the Bloody Baron during the Family Matters quest. Fixes an issue where players were sometimes unable to interact with a torch in the Get Junior quest. Fixes an issue where players could sometimes experience an infinite loading screen during the Iron Maiden quest. Fixes an issue where in certain circumstances players could encounter a blocker during the Contract: The Apiarian Phantom quest. Players who have encountered this bug need to backtrack to the frozen hive and examine the footprints around it again. Fixes an issue whereby the player could get locked inside a room during the Through Time and Space quest. Fixes an issue where on rare occasions players were unable to progress the game after the Get Junior quest, specifically upon reaching Vernon Roche’s camp. Fixes an issue whereby purchasing wine during the It Takes Three to Tango quest would not always progress the quest properly. Fixes an issue where the In Wolf’s Clothing quest did not progress properly after the player read Morkvarg’s journal. Fixes an issue where on some rare occasions players were unable to interact with the Wild Hunt soldier’s body during the Echoes of the Past quest. Fixes an issue whereby Keira would not always properly use the portal during the For the Advancement of Learning quest if asked to go to Kaer Morhen. Fixes an issue where the Scoia’tael from Novigrad was not always available to play in the Gwent quest. Fixes an issue where the player could get blocked inside a cellar during the King’s Gambit quest. Fixes an issue where in certain situations the player was unable to find Triss during the Final Preparations quest. Fixes an issue where occasionally the Kingfisher tavern was left without an innkeeper after the Now or Never quest. Fixes an issue where Yennefer was not spawned in Oxenfurt during the Great Escape quest. Fixes a rare issue where Captain Wolverstone was not at the Golden Sturgeon when intended. Fixes a rare issue where the bodyguards in the Reason of State quest were not hostile. Fixes a rare issue where the griffin would not always appear in the Contract: The Creature from the Oxenfurt Forest quest. Fixes an issue where the wyvern would not appear in the Contract: Phantom of the Trade Route quest. Fixes an issue with enlisting Sukrus from Skellige to be Hattori’s bodyguard in the Of Swords and Dumplings quest. Fixes a rare issue whereby the visions in the Echoes of the Past quest were not displayed. The Contract: Devil by the Well quest no longer counts towards the Geralt: The Professional achievement. Fixes a rare issue when the player could not speak with Lambert at Kaer Morhen during the Final Trial quest. Fixes a rare issue where players could not always complete the Hey, You Wanna Look at my Stuff? quest. Fixes an issue where players were sometimes unable to summon a horse after the Fencing Lessons quest. Fixes an issue where in the Scavenger Hunt: Viper School Gear quest the gate to the mausoleum was locked. Fixes an issue where players could not use Signs or swords after the fistfight at the Rosemary and Thyme during the Broken Flowers quest. Fixes a rare issue whereby players could not examine the source of interference during the Disturbance quest. Fixes an issue with the Dirty Funds quest. Fixes a rare issue with a loading screen in the Contract: The Phantom of Eldberg quest. Fixes a issue with a loading screen at Aeramas’ residence during the Of Dairy and Darkness quest. Fixes an issue where quest givers for the Deadly Delights and Jenny o’ the Woods contracts would disappear. Introduces a number of improvements to overall game stability. Fixes an issue where the Potion of Clearance would pop into the quick slot if the player ran out of food. Adds a Books tab to the Inventory panel. Introduces a number of additional loading screen hints. Introduces a pinning feature for formulae and diagrams. Ingredients and components for pinned formulae/diagrams are highlighted in the shop view. This should greatly facilitate the purchase of currently needed elements. Introduces a feature whereby currently equipped items are highlighted in the Repair panel, facilitating prioritization of items needing repair. Adds a feature whereby read and unread books are marked differently in the Inventory panel. The list of all available DLC packages is now displayed in the Main Menu/Options/Downloadable Content submenu for better clarity. We will bring you any new information on The Witcher 3 as soon as it becomes available.